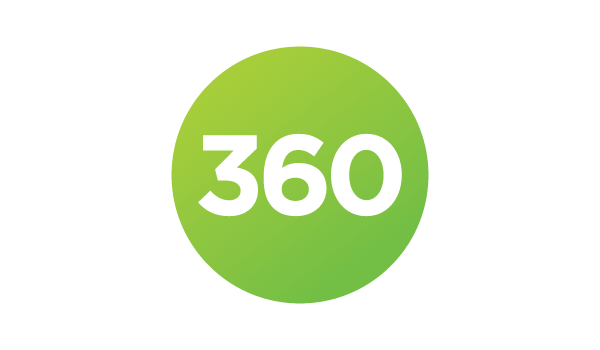 360 Core is an ideal solution for libraries seeking an affordable set of foundational access, management, and assessment services to improve workflows and reduce workloads. An attractive entry-level option to automate and centralize e-resource management, 360 Core provides tools for collection control and easy access to e-resources. Instead of wrangling data and duplicating processes, you can spend your time providing better access, making more informed decisions, and reducing costs. Support Center Improvements Coming Soon! In 2014 the current Serials Solutions Support Center will be replaced with an expanded ProQuest Support Center. Registered users will be able to better manage their support cases and gain easier access to support documentation and articles. Don’t miss information affecting your management and discovery services! Keep your knowledgebase updated and streamline workflows by staying informed of and responding to knowledgebase changes through a new Client Center notifications page. We continue to add to, modify and enrich our knowledgebase. View a list of the 48 new full-text databases added in November and stay informed of changes (name changes, platform migrations, title-level URL changes) in the Client Center. Identify all the subscribed journal and ebook titles available at your library, and we’ll supplement it with the most accurate holdings data and best available URLs. You can also add your print and microform holdings, and free resources to complete your knowledgebase. Provide your patrons with a single point of entry to all of your e-resources, and enable them to search and link to e-serials and ebooks. Customize your solution to include title-searching, subject browsing, eBook access, LibGuides integration, Ulrichsweb linking, and more. Unified and streamlined administration of all subscribed 360 and Summon services can be done through a web-based administrative portal. This makes streamlined administration that makes it easy to add additional management and discovery services whenever you need them. Simplify e-resource management tasks using sophisticated web-based management and assessment tools. You can easily view and add journals to your collection, evaluate your holdings, generate reports, and reduce acquisition costs. 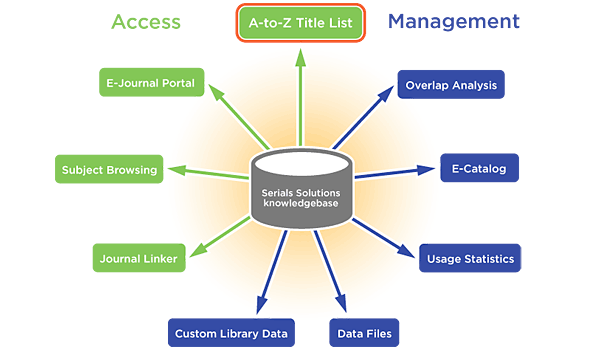 Build an authoritative e-resource knowledgebase to enable your library to streamline management and provide consistent and accurate e-resource access. Include print and microform holdings, and include free resources. Add custom URLs, proxies, database names, coverage dates, and more to ensure your data reflects local needs. Also add custom notes to resources at the holding, database, and journal levels to informed patrons of special access requirements. Identify overlapping journal coverage within a collection of databases, then a download summary to use for library-specific queries and comparisons. Also export data with Data on Demand, create a database report, or transfer data through the OCLC eSerials project. Identify the number and type of searches your patrons have performed through 360 Core functionality, know at a glance which journals and databases your patrons are accessing, and aggregate the click counts at the holding, journal, database and provider levels. Find any journal in any database through our industry-leading knowledgebase of electronic resources through a simple query within the administrative interface. Libraries can deploy the E-Journal Portal, which includes an A-to-Z Title List, title searching and subject browsing of e-Journals and e-Books. The webpage interface is fully localized, customizable, and updated daily. Link from Serials Solutions services to complete bibliographic information for a specific journal via Ulrichsweb, or link from Ulrichsweb back to the specific journal. Provide E-Journal Portal access for mobile devices using Springshare’s LibGuides. Create and maintain LibGudes A-to-Z Database List using your tracked resources with the administrative interface.